Possibly one of the original and most widespread uses of geosynthetics for containment solutions is landfill engineering. 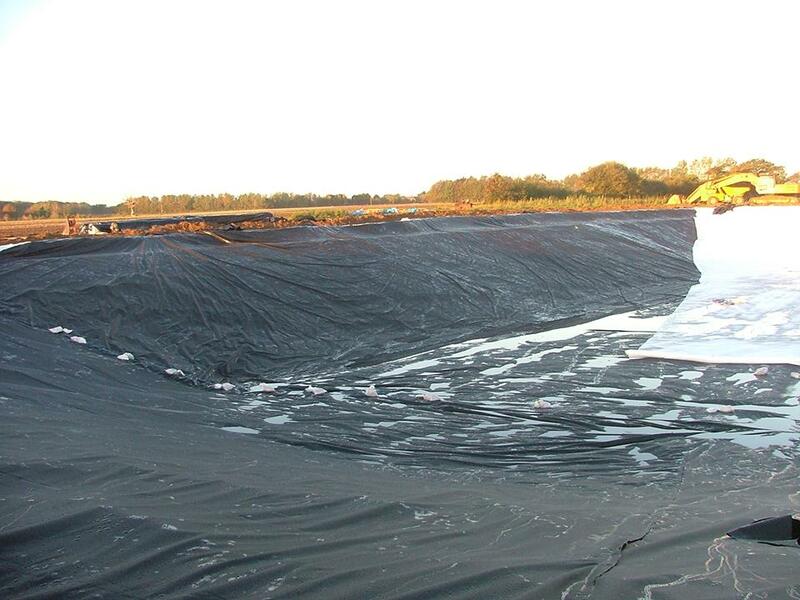 PAGeoTechnical suplies and installs geomembranes for landfill from basal lining to temporary & permanent capping. The addition of landfill lining capability to its contracting business enables PAG to offer a full package of services in this sector. These include the supply and installation of a wide range of materials to meet all design specifications. 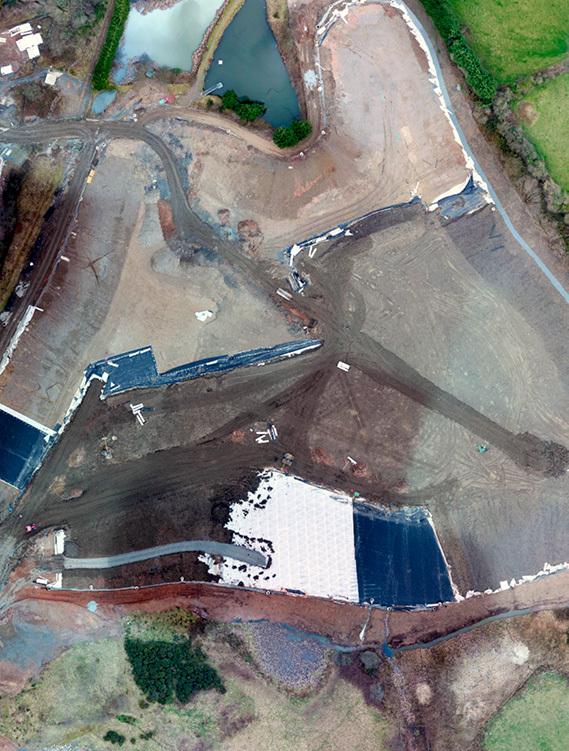 Work is carried out to the highest standard by our crews, who are experienced in all aspects of landfill & large containment lining applications. 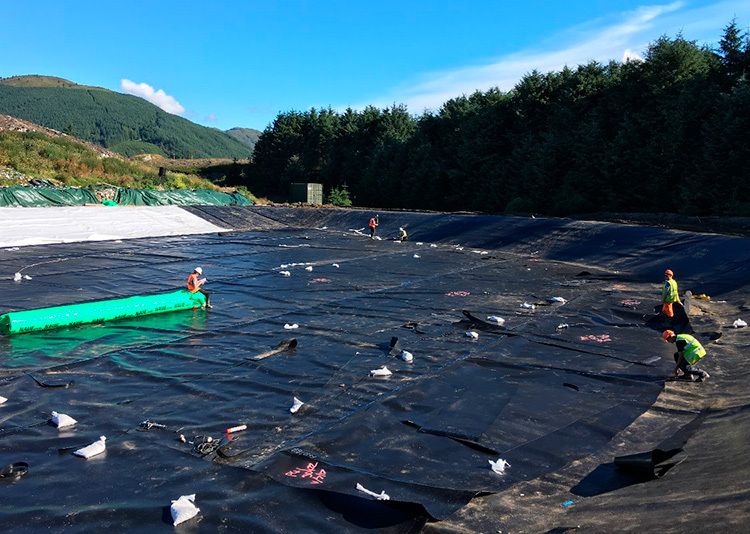 With its long established relationships with Europe’s specialist geosynthetics manufacturers, PAG is well placed to support this work and with the newly incorporated landfill lining capability within PAGeoContracting, we are well placed to offer clients a full turnkey package. Our geomembrane team has a reputation for efficient installations carried out to a high quality finish, on projects of varying sizes and complexity. All team members are trained to the highest standard and hold TWI CSWIP Plastics Welding qualifications as a minimum. We can offer a full range of services from materials procurement and importation, site delivery & premium installation. 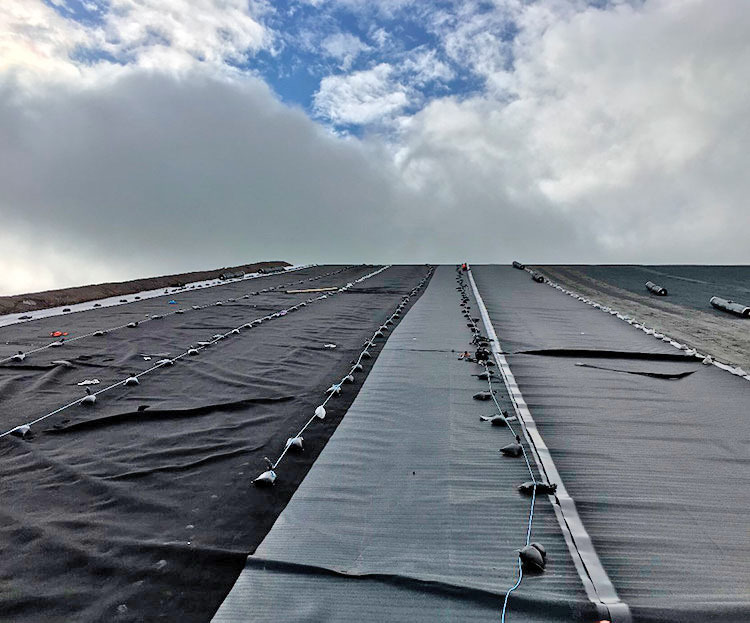 Whether HDPE, LDPE, LLDPE, GCL or protection and drainage composites, PAGeoTechnical can offer the full suite of materials from the largest manufacturers worldwide, and with our professional landfill installation teams under the watchful eye of experienced project managers, any landfill or large containment project can be delivered on time and within budget.